The seat shell is made from double-walled, structured polypropylene for comfortable seating. Can be equipped with either glide elements or castors for hard and soft floors. 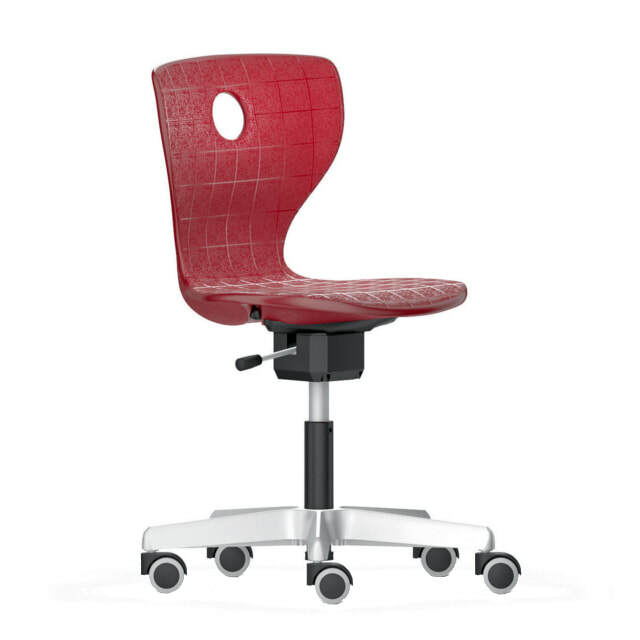 The chair follows every movement of the body, simultaneously prompting the posture to change continuously. It adapts itself consistently to the needs of the user – it does not block movement; it supports movement. Important muscle groups are in this way activated without tensing in the process. See the demonstration here. Available in sizes to suit Primary to Post Secondary students. Stool with foot ring for use at bar height surfaces available. View our size guide here. From CAD$307.00-$419.00. Call (289)-337-0646 or email sales@benchmarque.ca for inquiries.